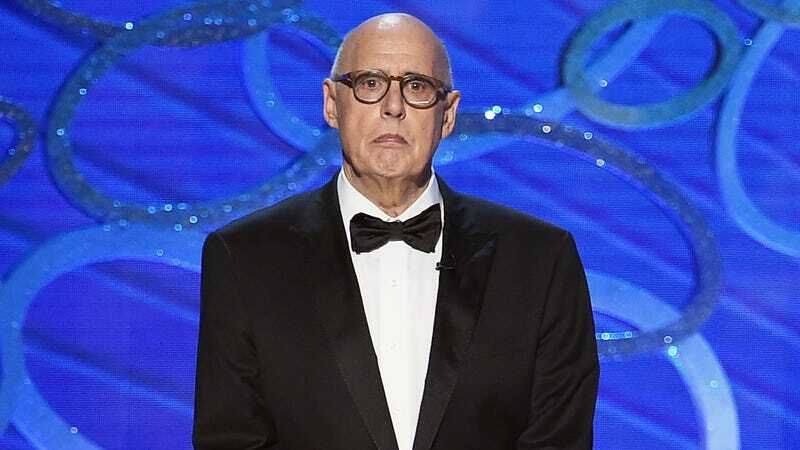 In what’s amounting to a cold war between Amazon and Netflix, with the trans community caught in the middle, Deadline reports that Jeffrey Tambor—who was fired from Transparent in February amid charges of sexual harassment and inappropriate behavior from two trans women who work on the show, and was subsequently withdrawn from Emmys consideration by Amazon Studios—will be competing in the Emmys race after all. For this, he can thank Netflix, which will be submitting Tambor for Emmys consideration for his role on the fifth season of Arrested Development, which debuts next week. Compare that to Transparent creator Jill Soloway, who says they never “disbelieved” the allegations against Tambor, and let him go over the actor’s protestations of what he calls an “unfair characterization.” Tambor previously won two Emmys for his role as Maura Pfefferman on Amazon’s Peabody Award-winning dramedy. CORRECTION: An earlier version of this article failed to note that Tambor is being submitted for Emmys consideration along with the rest of the Arrested Development cast. Tambor, Tony Hale, Will Arnett, Michael Cera, and David Cross were submitted for Outstanding Supporting Actor in a Comedy Series, and Portia de Rossi, Jessica Walter, and Alia Shawkat were submitted for Outstanding Supporting Actress. Jason Bateman has been submitted for Outstanding Actor in a Comedy Series. We regret the error.